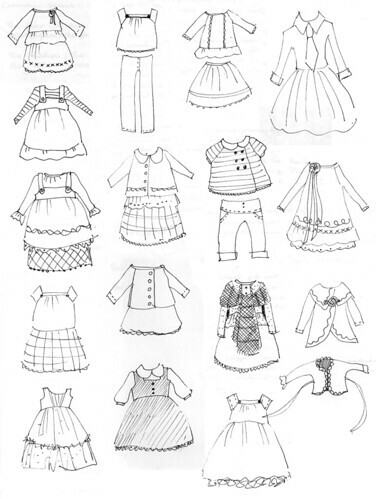 Little dress drawings, a photo by little_moshi on Flickr. This is a selection of some of the tiny sketches I make when I am planning an outfit. Sometimes I just make the drawing and the dress/outfit never gets made, but it means I can go back and revisit them later. I worry that ideas get lost if I don't scribble them down.